The First, 19-Numbers (0-18) Roulette game using Bingo/Lotto Balls. Exciting, Space-Saving alternative to traditional Roulette! 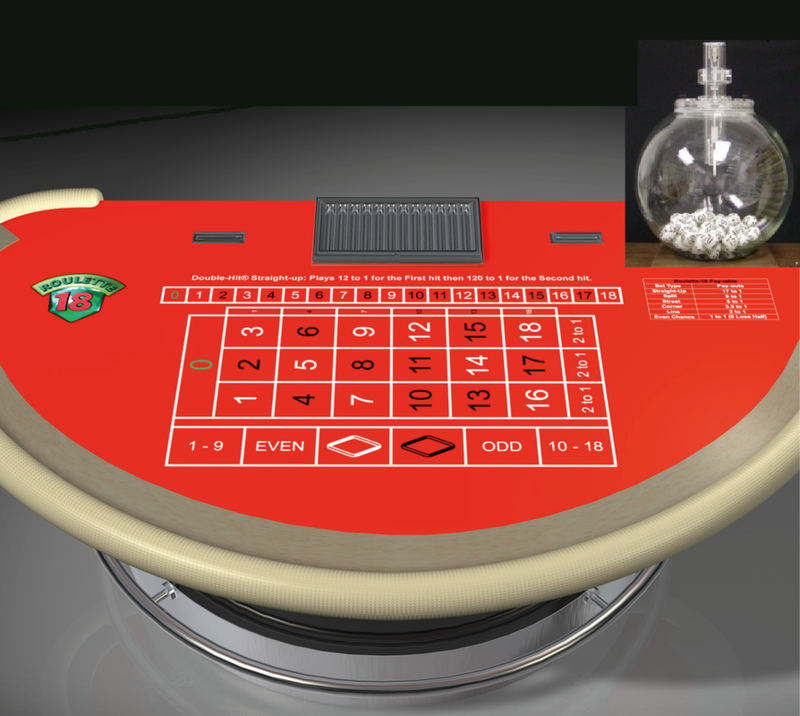 Roulette-18® Bingo™ uses a Set/s of Roulette-18® Bingo-Balls and a unique layout that does not require a roulette-sized table. 1. Players place their bets on the Roulette-18® layout which is similar to a Roulette layout, but smaller. 2. One ball is randomly Draw from a Set/s of Roulette-18® Bingo-Balls, numbered (0-18). Link-Bets are made possible by the addition of a fourth column which duplicates the first column. The Double-Hit straight-up is a proposition bet based on two consecutive rolls of the dice. The Player places a bet on a single number in the Double- Hit section of the layout. If the Player hits his number on the first roll, he’s paid 12-to-1 and the bet remains in play for a second roll. ​If the player then hits his number on the second roll, he’s paid 120-to-1 and his original bet is returned. Patented and Registered Design ©Stephen Au-Yeung, All right reserved.